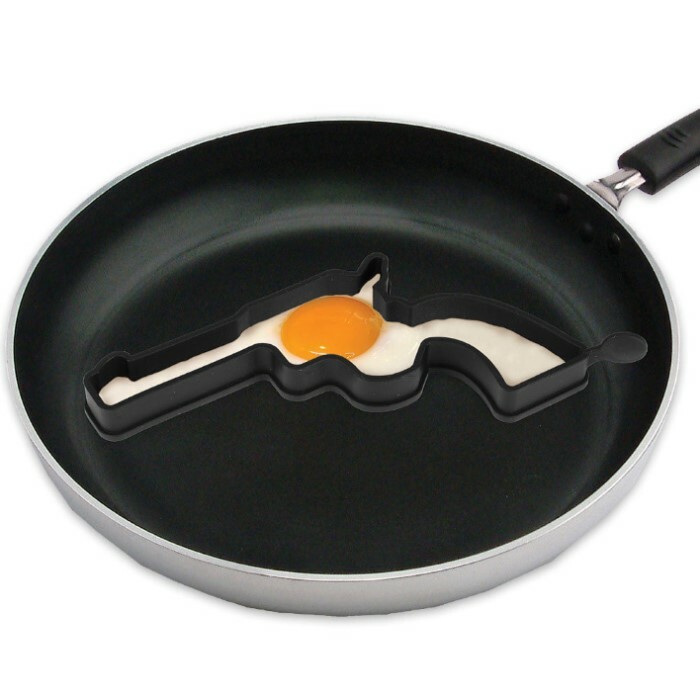 Fired Egg Gun Egg And Pancake Shaper | BUDK.com - Knives & Swords At The Lowest Prices! 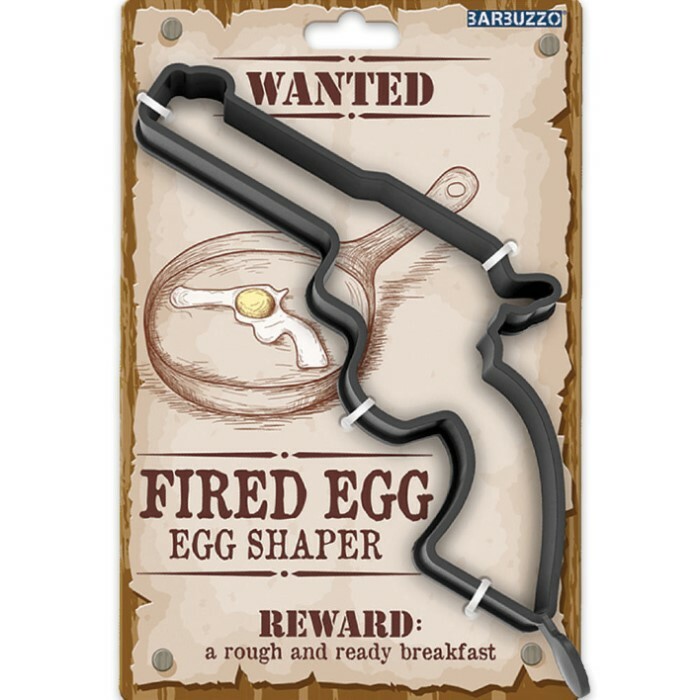 If you want to be the Sherriff in Breakfast Town, you have to un-holster this Fired Egg Gun Egg and Pancake Shaper. It’s just perfect for you kitchen on the ranch or out at your favorite campsite. 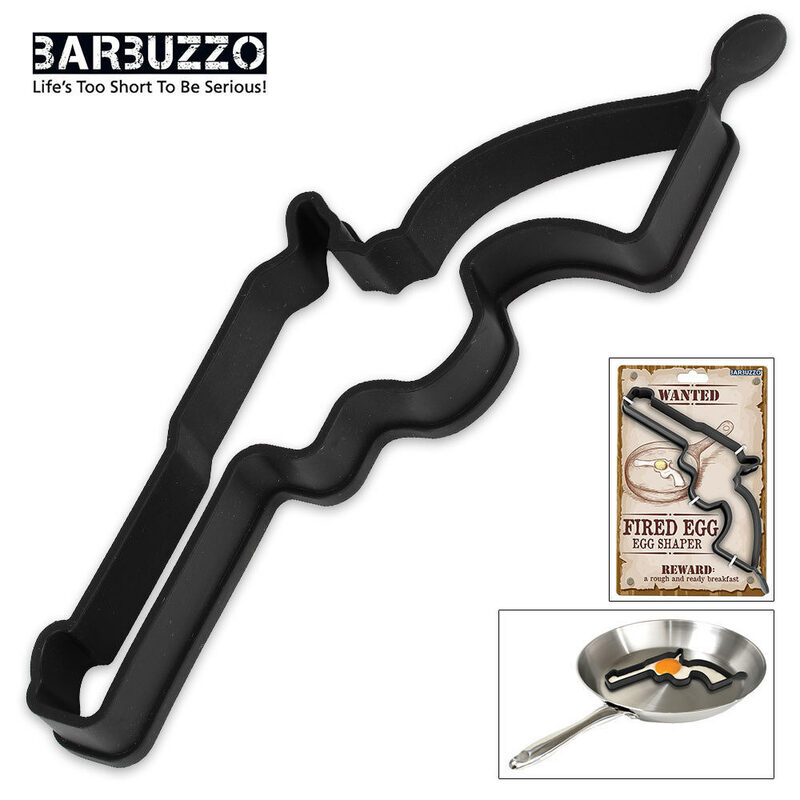 It’s made of 100% non-stick silicone and is 7 1/2" x 6 1/2".